- Carriacou is the most southerly of the Grenadines, situated 20 miles north of Grenada, latitude 12,5 degrees. It has an area of 13 square miles and is the largest of the chain of islands between Grenada and St. Vincent. - Don't forget to visit the renowned Sandy Island just east of Carriacou. This tiny island serves as the symbol of the ideal tourism destination - pure white sand embraced by turquoise blue waters (the Caribbean dream). - While in Carriacou whether you choose to explore, snorkel, swim , dive or simply stroll, you will experience the special lure of this gem and its islets. Come enjoy, returning again and again to bask in what one might refer to as the 'paradise for water lovers', and escape from the routine of daily living, and when you leave take only good memories, leave nothing but footprints. - Boat building and launching is a major tradition. - Pre-Lenten Carnival, August Regatta and the Yuletide Parang Festival have also contributed to its fertile heritage. - Carriacou also hosts the Maroon Festival, a great success, featuring local and international artist performing in music, dance, drumming, etc. Local cooking is also a major part of the festival, and one day of the festival you can get everything for free, just like in the traditional maroons where one village invites the other villages to enjoy the crop-over and the harvest of the year. - The first settlers, the Amerindians appropriately referred to Carriacou as the 'Land of Reefs'. The surrounding waters teem with a variety of marine life, creating the perfect underwater experience. 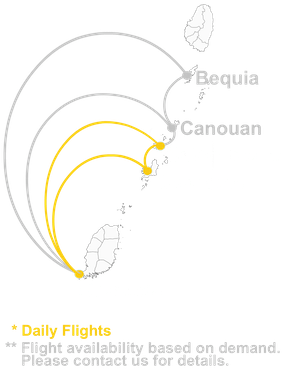 - Carriacou was settled by the French, but in 1763 was seceded with Grenada to the British. The majority of the inhabitants today are of African descent, with the influence in the island mainly British, such as driving on the left, though French names are still noticed, especially in the L'Esterre area. The village of Windward was home to a group of Scottish boatbuilders who settled here in the 19th century. The Scottish names and boatbuilding skills have been passed down through the generations. Many locally built boats from small fishing sloops to large trading schooners are seen in the Carriacou waters. Boat building is still carried out in the traditional way on the beaches but fewer have been built in recent years. - Carriacou is rich in cultural history and has as part of its legacy the Big Drum and Quadrille dances. - Before the arrival of Europeans, Grenada was inhabited by Carib Indians who had driven the more peaceful Arawaks from the island. Columbus landed on Grenada in 1498 during his third voyage to the new world. He named the island "Concepcion." The origin of the name "Grenada" is obscure but it is likely that Spanish sailors renamed the island for the city of Granada. By the beginning of the 18th century, the name "Grenada," or "la Grenade" in French, was in common use. - Partly because of the Caribs, Grenada remained uncolonized for more than 100 years after its discovery; early English efforts to settle the island were unsuccessful. In 1650, a French company founded by Cardinal Richelieu purchased Grenada from the English and established a small settlement. After several skirmishes with the Caribs, the French brought in reinforcements from Martinique and defeated the Caribs, the last of whom leaped into the sea rather than surrender. - The island remained under French control until its capture by the British in 1762, during the Seven Years' War. Grenada was formally seceded to Great Britain in 1763 by the Treaty of Paris. Although the French regained control in 1779, the island was restored to Britain in 1783 by the Treaty of Versailles. Although Britain was hard pressed to overcome a pro-French revolt in 1795, Grenada remained British for the remainder of the colonial period. - During the 18th century, Grenada's economy underwent an important transition. Like much of the rest of the West Indies, it was originally settled to cultivate sugar, which was grown on estates using slave labor. But natural disasters paved the way for the introduction of other crops. In 1782, Sir Joseph Banks, the botanical adviser to King George III, introduced nutmeg to Grenada. The island's soil was ideal for growing the spice, and, because Grenada was a closer source of spices for Europe than the Dutch East Indies, the island assumed a new importance to European traders. - Carriacou produced mostly cotton with some sugar, limes, coffee and cocoa. Today the inhabitants grow corn and pigeon peas for their own consumption and subsistence farming, live stock rearing, fishing and seafaring form the main occupations. - The collapse of the sugar estates and the introduction of nutmeg and cocoa encouraged the development of smaller land holdings and the island developed a land-owning yeoman farmer class. Slavery was outlawed in 1834. In 1833, Grenada became part of the British Windward Islands Administration. The governor of the Windward Islands administered the island for the rest of the colonial period. In 1958, the Windward Islands Administration was dissolved, and Grenada joined the Federation of the West Indies. After that federation collapsed in 1962, the British Government tried to form a small federation out of its remaining dependencies in the Eastern Caribbean. - Following the failure of this second effort, the British and the islands developed the concept of associated statehood. Under the Associated Statehood Act of 1967, Grenada was granted full autonomy over its internal affairs in March 1967. Full independence was granted on February 7, 1974. - After obtaining independence, Grenada adopted a modified Westminster parliamentary system based on the British model, with a governor general appointed by and representing the British monarch (head of state) and a prime minister who is both leader of the majority party and the head of government. Sir Eric Gairy was Grenada's first prime minister. - On March 13, 1979, the new joint endeavor for welfare, education, and liberation (New Jewel) movement ousted Gairy in a nearly bloodless coup and established a people's revolutionary government (PRG), headed by Maurice Bishop, who became prime minister. His Marxist -Leninist Government established close ties with Cuba, the Soviet Union, and other communist-bloc countries. - In October 1983, a power struggle within the government resulted in the arrest and subsequent murder of Bishop and several members of his cabinet by elements of the people's revolutionary army. Following a breakdown in civil order, a U.S.-Caribbean force landed on Grenada on October 25 in response to an appeal from the governor general and to a request for assistance from the Organization of Eastern Caribbean States. U.S. citizens were evacuated, and order was restored. - An advisory council, named by the governor general, administered the country until general elections were held in December 1984. The New National Party (NNP), led by Herbert Blaize, won 14 out of 15 seats in free and fair elections and formed a democratic government. Grenada's constitution had been suspended in 1979 by the PRG, but it was restored after the 1984 elections. - The NNP continued in power until 1989 but with a reduced majority. Five NNP parliamentary members-including two cabinet ministers-left the party in 1986-87 and formed the National Democratic Congress (NDC), which became the official opposition. - In August 1989, Prime Minister Blaize broke with the NNP to form another new party-The National Party (TNP)-from the ranks of the NNP. This split in the NNP resulted in the formation of a minority government until constitutionally scheduled elections in March 1990. Prime Minister Blaize died in December 1989 and was succeeded as prime minister by Ben Jones until after the elections. St. Vincent Grenada Air was incorporated in the city of St. George’s, Grenada on 4 October 1999. The company has two stations – a primary one at the Maurice Bishop International Airport and a satellite office at the Lauriston Airport in Carriacou. The SVG Air Grenada team comprises of a station manager, an accounts office, and operations/traffic/reservations personnel on both the mainland and Carriacou.  Our Grenada scheduled flights are operated using a BN2 Islander aircraft which is maintained by our resident engineer and mechanic with the support of the OECS maintenance office in St.Vincent. All Grenada operations are co-ordinated by our office in Grenada in collaboration with our head office in St. Vincent as much as possible. Back to top.